Bao (or baozi) have taken the world by storm in the past few years, but in their native China the delicious little steamed buns come in a variety of shapes and sizes. Learn a little bit more about their origins and the most common types of bao you can find today. As little as ten years ago, bao were almost unheard of in the UK. 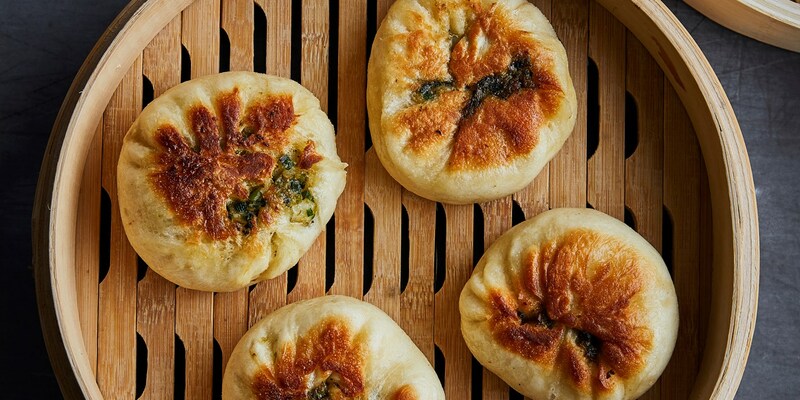 However, in the past few years our knowledge of regional Chinese cuisine has come on leaps and bounds, and while there’s still an awful lot to learn, one thing’s for sure – we’ve fallen in love with these northern Chinese buns. Stuffed full of all manner of delicious things before being steamed until light and fluffy, there are entire restaurants dedicated to the delicacy, while street food stalls across the country sling out bao after bao to hungry customers. But where did this sudden love of bao come from, and why has it taken so long for them to make their way outside of China? Bao are thought to have originated in China’s Three Kingdoms period, around the third century (although some historians believe they were around for much longer, with references to a similar-sounding delicacy dating back to 400 BC). They were supposedly popularised by Zhuge Liang, a legendary military strategist who was known for his tactical prowess. The story goes that when returning home with his army after defeating a king, they came across a river which was impossible to wade through. A local barbarian told him that in the past locals would sacrifice men and throw their heads into the river as an offering to its deity. Preferring not to put his men through anymore suffering, Zhuge Liang decided to form steamed wheat buns into the shape of human heads, stuff them with meat and throw these into the river instead. The deity obviously found these much more delicious than its usual diet of severed heads, parted the waters and allowed the army to continue the journey. The resulting dish was called mantou (which roughly translates to ‘barbarian’s head’). By the tenth century, mantou referred to steamed bread rolls without a filling, while bao (or baozi, to use their full name) became a dish in their own right, stuffed with various other foods. Whether that legend is true or not, bao quickly became a prized delicacy throughout northern China – where wheat is the staple crop rather than rice. And while we can’t be sure how different today’s bao buns are from those back in the times of Zhuge Liang, they all share certain characteristics in common. Rather than the smaller steamed dumplings associated with dim sum, bao are larger, fist-sized things, made with a mix of flour, yeast, sugar, baking powder, milk and oil. This means the resulting buns are slightly sweeter, while the milk content gives them their pure white colour. Once proved, the dough is formed into various shapes (more on that later), before being stuffed with their chosen filling and steamed for 10–15 minutes until plump, fluffy and cloud-like. Traditional bao buns look like little pouches with a small pleat decoration on top, or are formed into a ‘snowball’ shape – completely spherical and smooth. However, as bao became more popular outside of China, other shapes started to appear. Hirata bao are arguably the most common in the West, rolled flat and folded over the filling to create something resembling a sandwich, while burger-shaped bao sliders are becoming popular in restaurants wanting to serve a variety of different filled buns on one plate. With Instagram and social media now playing such a big part in food, you’ll also see bao buns decorated to resemble everything from pandas to fruit. When it comes to fillings, the world is your oyster – although the most common is delicious char siu barbecue pork, with plenty of rich sticky sauce to soak into the bun’s open texture. There are hundreds of other variations found all over, from tangbao (buns filled with soup which is drunk through a straw) and sweet pink buns filled with lotus bean paste in China to the kaya-baozi of Singapore, filled with a sweet coconut or pandan curd. Some bao are pan-fried before or after steaming for a crunchy golden top, too. Beef, fish, mushrooms and even chocolate are common bao fillings in the UK, but as long as something tastes delicious and has a little bit of sauce to go with it, chances are it’ll taste good inside a pillowy steamed bun. In China bao are regarded as a breakfast dish, although their delicious texture and flavour means they’re on offer throughout the day. 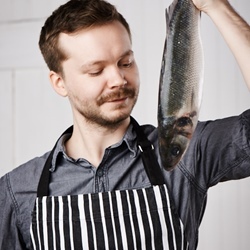 And while they’re mostly associated with street food stands or restaurants in Britain, more and more of us are cooking them from scratch at home – which means we can have them morning, noon and night if we so choose. Bao might have been invented over a thousand years ago, but it’s only very recently that they’ve become a global phenomenon. Whether you like a traditional char siu, a hirata sandwich of black pepper beef or a spherical dome of mushroom-stuffed goodness, give a thought to Zhuge Liang before you take a bite. We’ve got a lot to thank him for.